DE74 news, reviews and local events in DE74 areas including Castle Donington, Kegworth, Diseworth, and communities in DE74. Are these places the most relevant to this postcode? Let us know! "I've had a look at your website, its very impressive!" 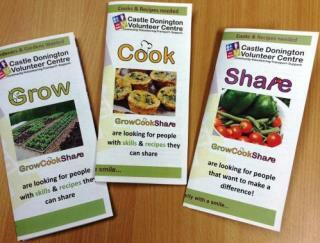 Castle Donington Volunteer Centre is chosen to receive a £40,000 Innovation Bursary over two years for their newly launched GrowCookShare Project. Find a Local Business Get the DE74 Newsletter!